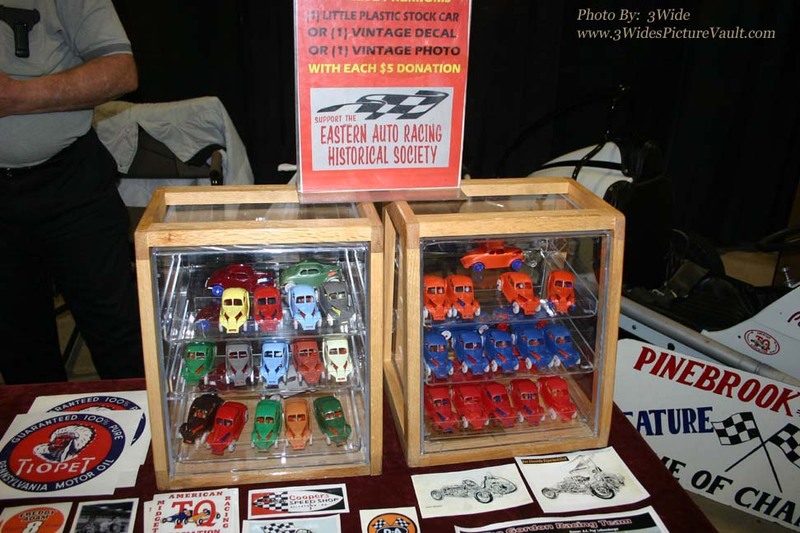 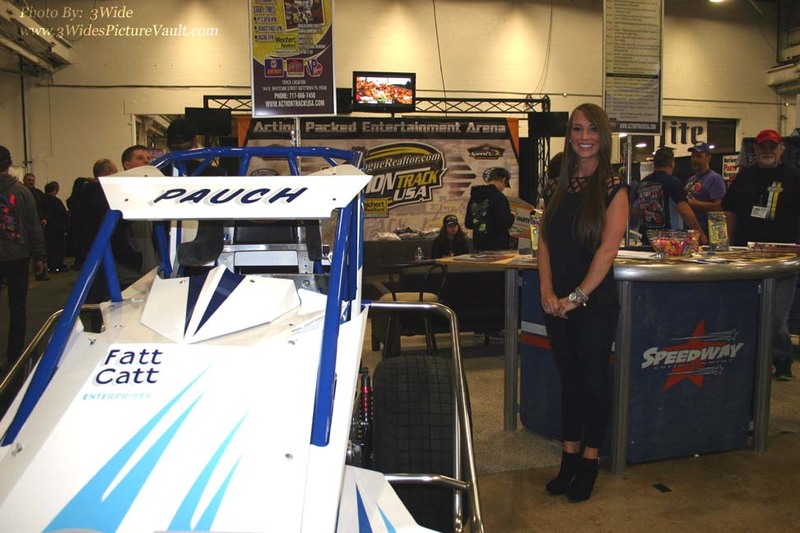 We stopped by the Action Track USA booth and got a 2015 schedule from Mandee Pauch. 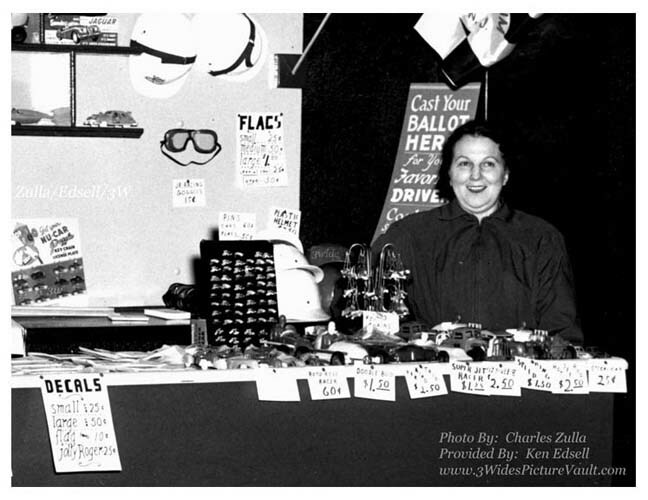 Kutztown is the place to be on Wednesday nights, starting on May 13th! 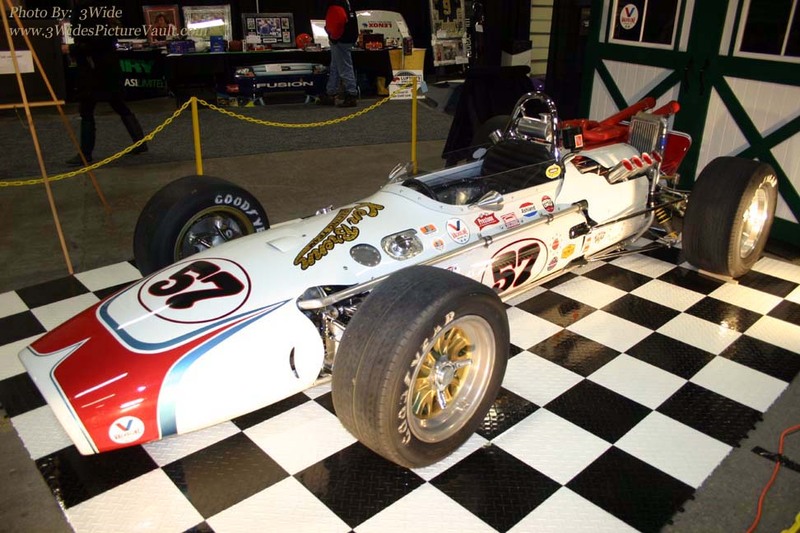 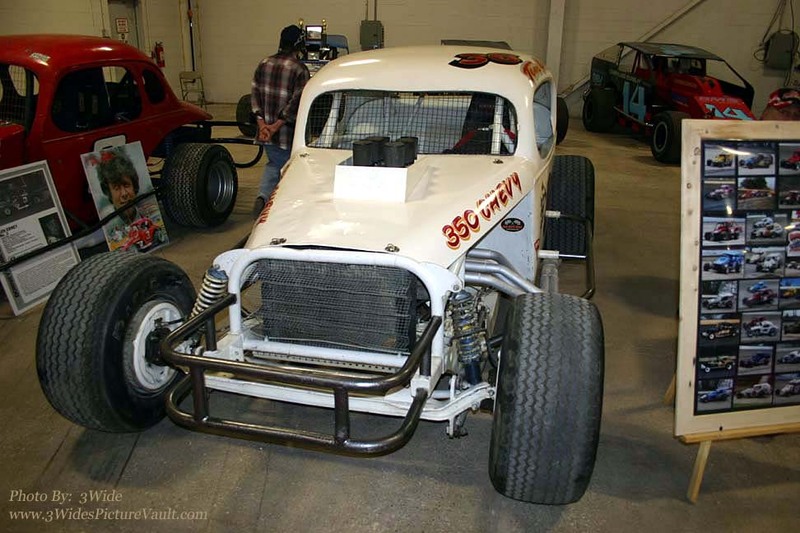 The real deal... Ken Brenn Racing #57 as raced in during the 1967 season by Bob Harkey. 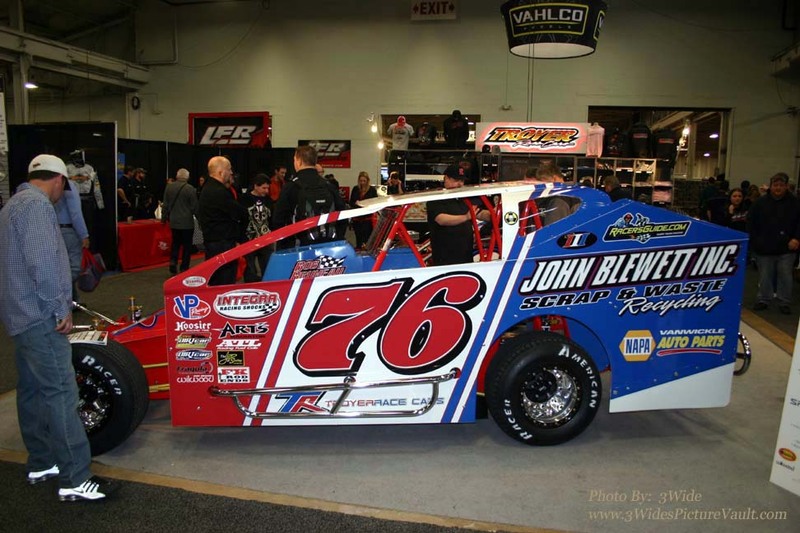 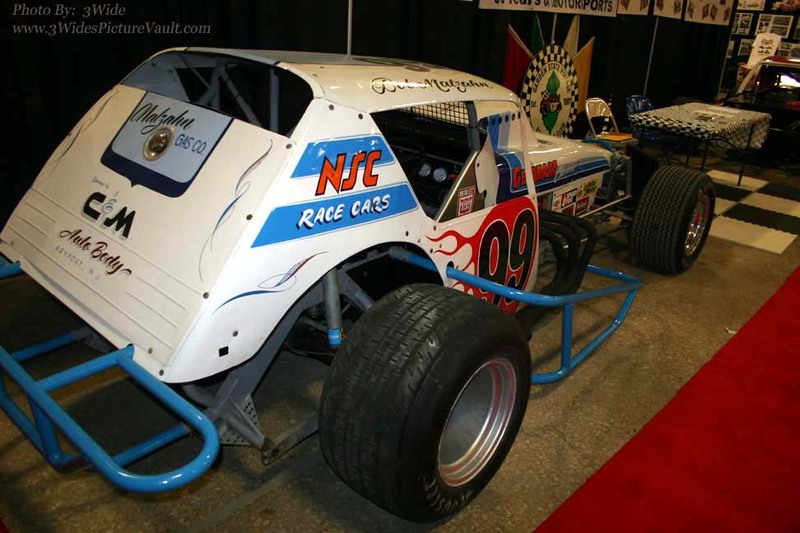 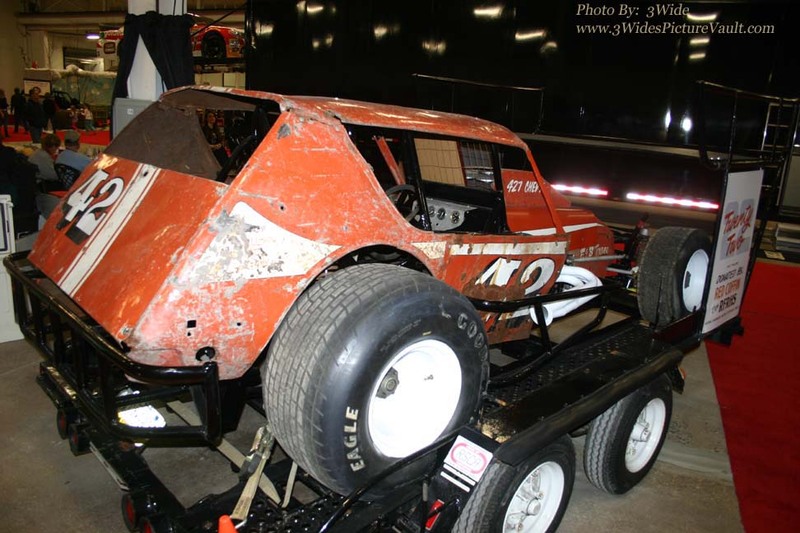 Jimmy Blewett will be 'doing it on the asphalt and on the dirt in 2015. 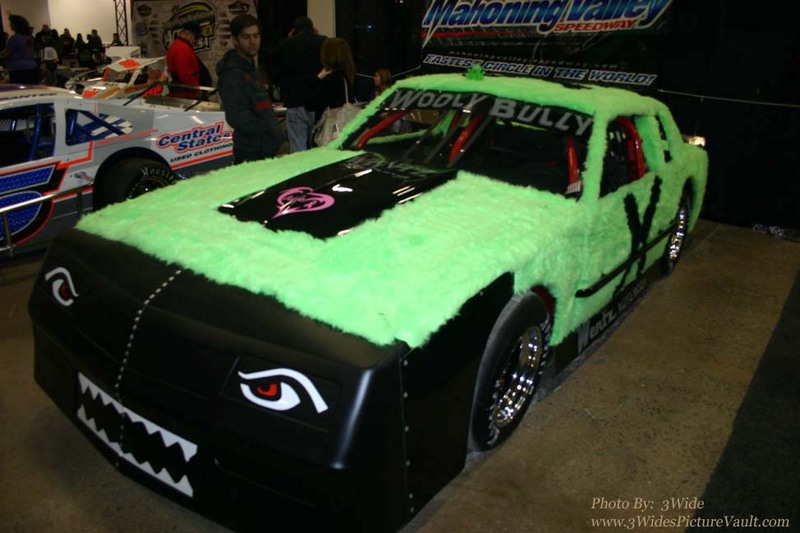 Fan favorite at Mahoning, the "Wooly Bully" has new fur for 2015. 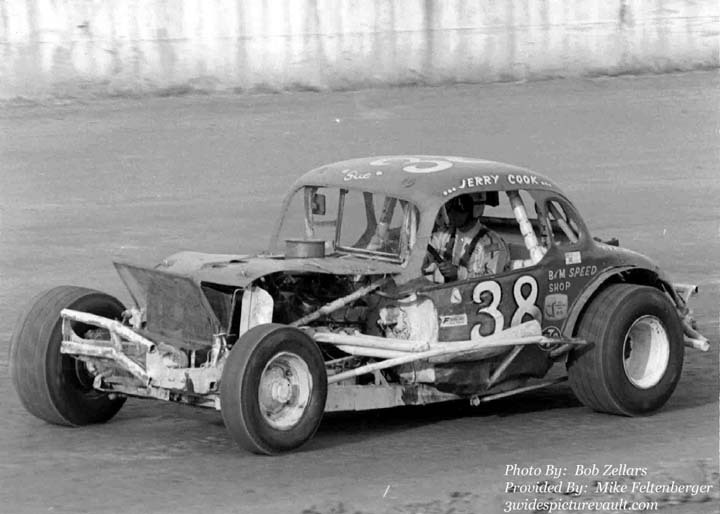 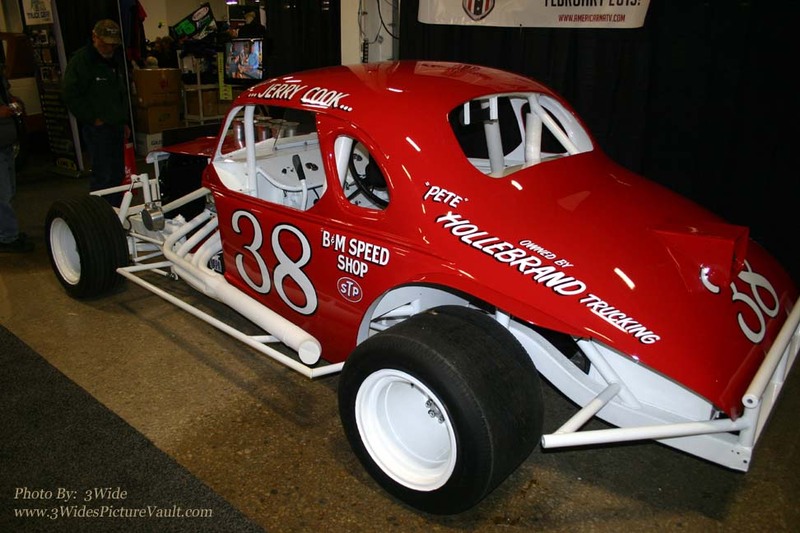 Neat looking #36 coupe, originally built by the Lowdens as the #333 Billy O car. 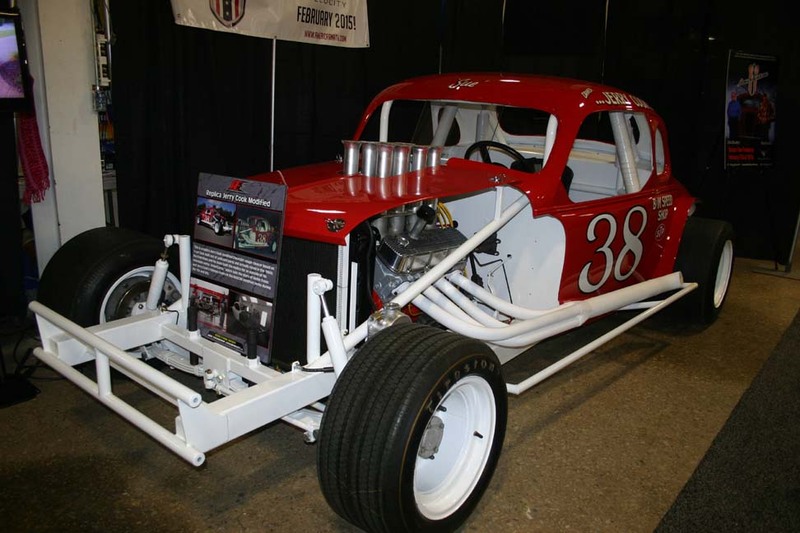 Dizzy Dean original "survivor" car. 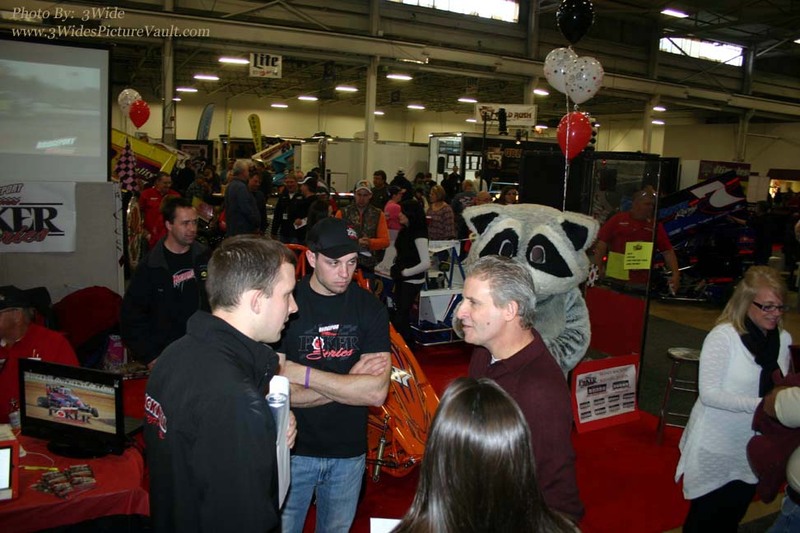 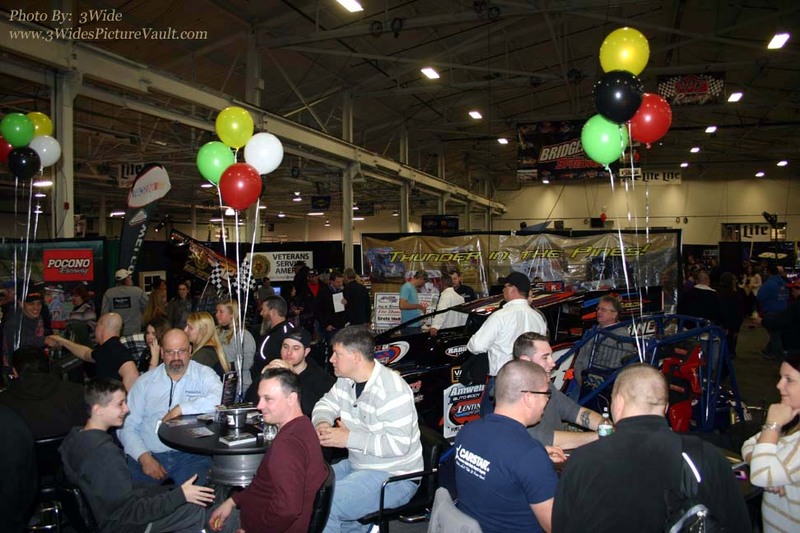 Plenty going on at the Bridgeport Speedway booth. 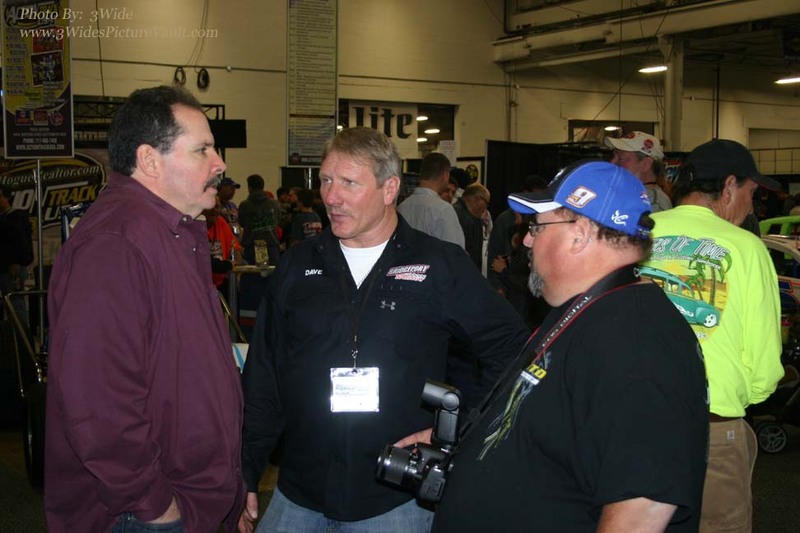 Bridgeport's Dave Adams talk to 2014 Modified Champion Jimmy Horton. 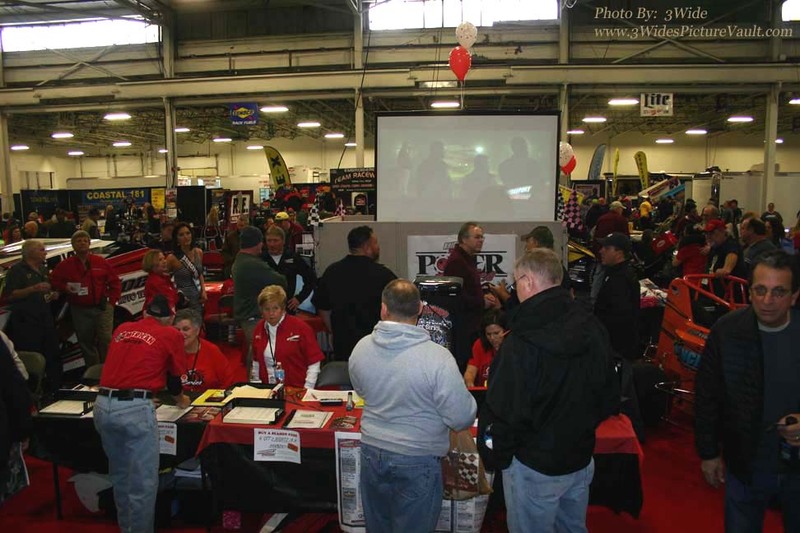 Lots of smiles at the Ms. Motorsports booth. 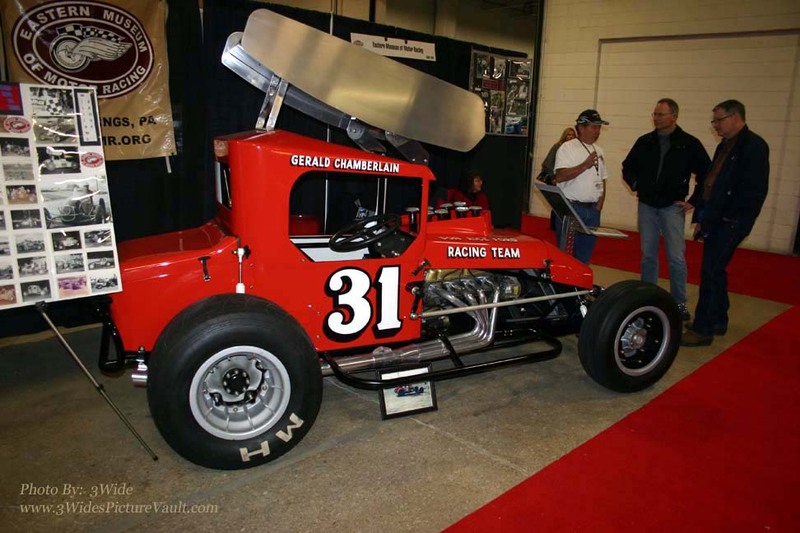 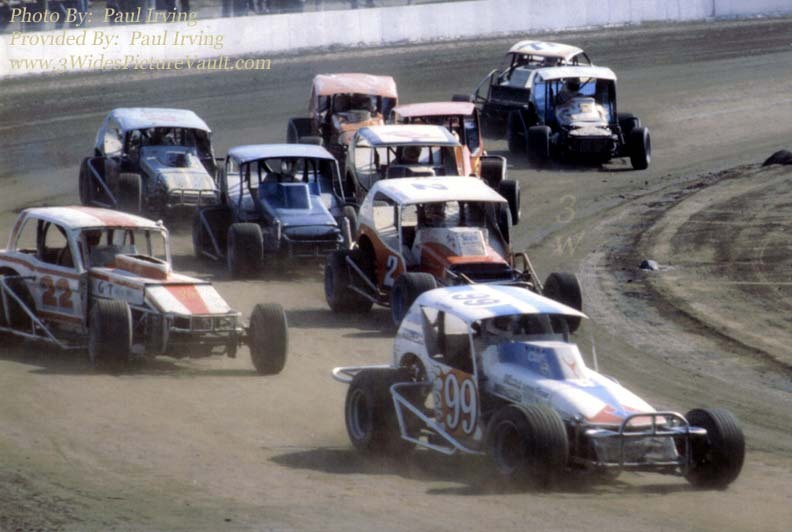 Gerald Chamberlain #31 "Winged Bug." 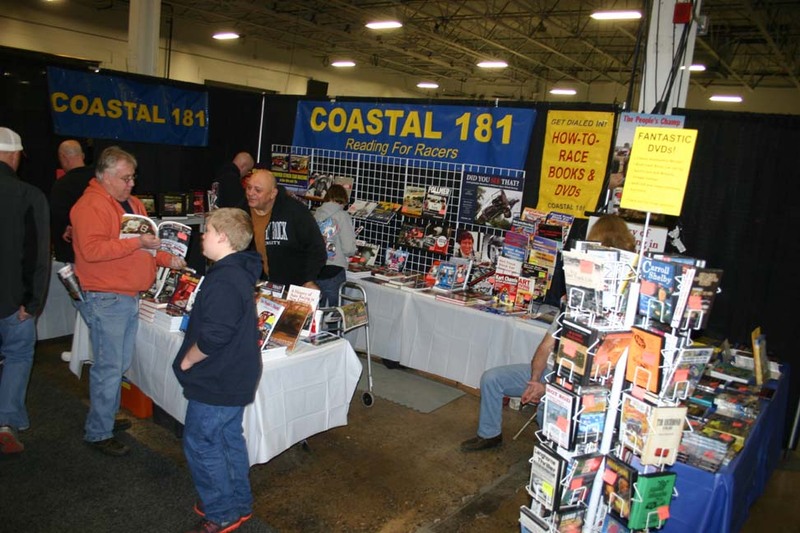 If you are ever looking for a gift for a racefan, or to treat yourself, you'll definitely find it at Coastal 181. 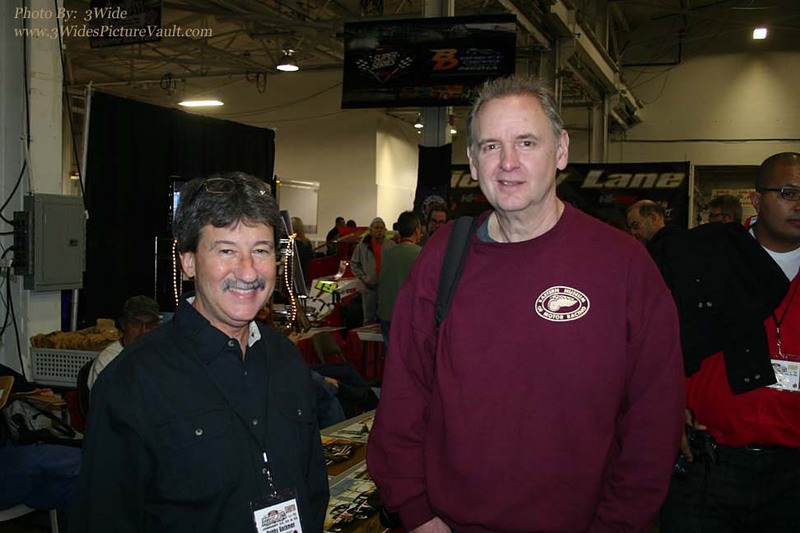 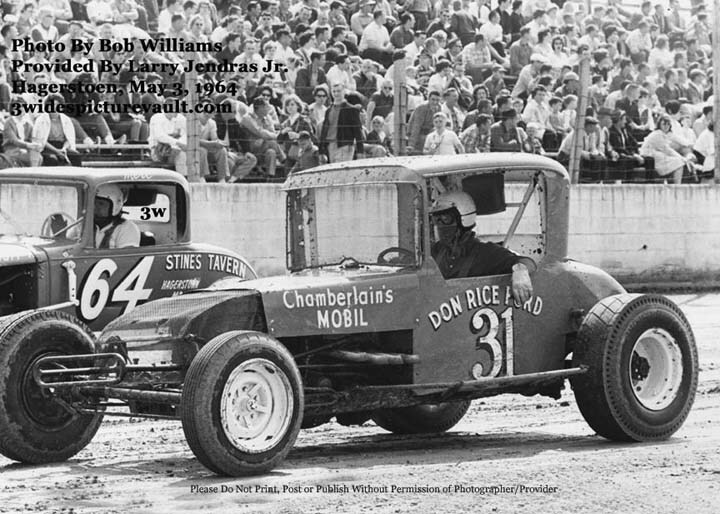 Crew member on many top race teams, Bobby Bachman (son of 50's/60's racer Bill Bachman) and accomplished photographer (and writer ) Jack Kromer on the right.